Hey guess what! What? 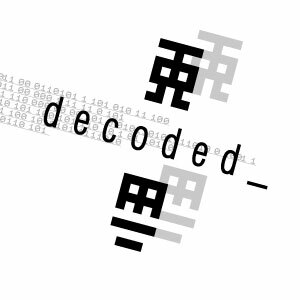 Every decoded_ show is now on-line. I just uploaded the remaining 9 shows. You can now download all 49 decoded_ shows right here. You’ll find play-lists for all the shows here. These are the master mixes, pre voice-overs and station IDs, all music! Enjoy! Respect to all the artists and labels featured. There’s a heap of $ spent on all that music. Buy it, don’t streal it! Show 49 is the most recent show, show 50 is still yet to come together. Big thanks to decoded_ fans IJsbrand and his brother Quirijn (Ryan) from Holland for helping out with on-line space for these.